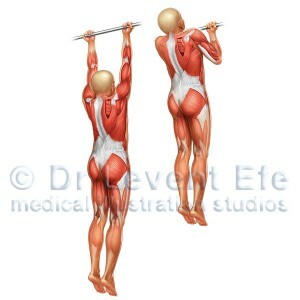 Realistic artwork depicting in glamorous detail Chin up strength exercise. 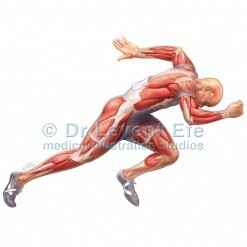 The before and after image is an ideal tool for anatomy education in fitness training. SKU: SM04. 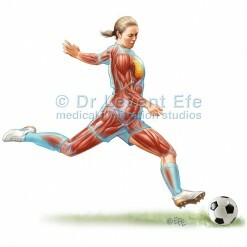 Category: Sports Medicine. 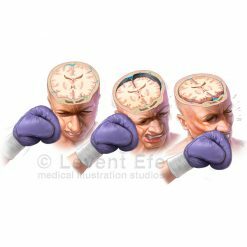 Tags: biceps, chin-up, chinup, exercise, fitness, LatissimusDorsi, muscles, strength, training. 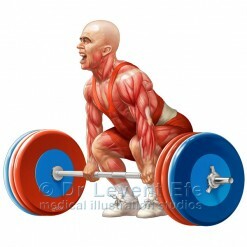 The movement begins with the arms extended above the head, gripping a hold, and then the body is pulled up, with the bar approaching the upper chest. The Chinup exercise works the lats (latissimus dorsi) and biceps muscles.